Well, i bet all of you know what's happening in our country, Malaysia right now. It's really upset seeing stuff like this in Facebook. Why being racist? What the hell is "tsunami cina"? HELLO, It's not the war between Malay, Indian and Chinese right now. Do you know what are you talking about? 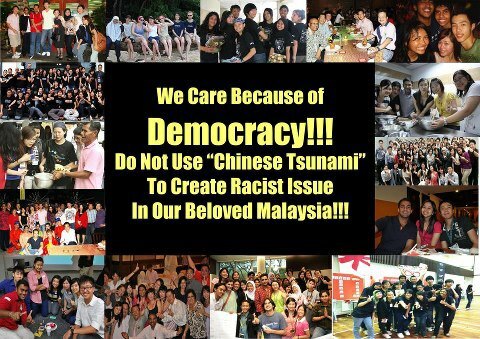 We don't hate BN, we don't hate politics, all we want is a FAIR election...to end this corruption. WE LOVE MALAYSIA, that's why we are struggling to change, change for a better future. It's for US!!!! Please think twice before you publish a status! Respect is EARN!!!! You are insulting no one but yourself. 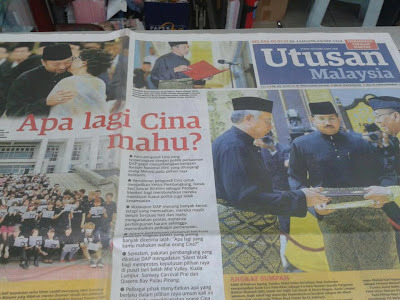 Without Malaysian's Chinese, there's no Yap Ah Looi, Genting Highlands or Lee Choong Wei. Without Malaysian's Indian, there's no Maxis or Nicol David. Without Malays, we wouldn't have had prominent figures such as Sudirman and P. Ramlee. Same goes to the aborigines and others. Every races contributed to make Malaysia proud. Remember Malaysians, we are strong when we are together. STOP RACISM!! 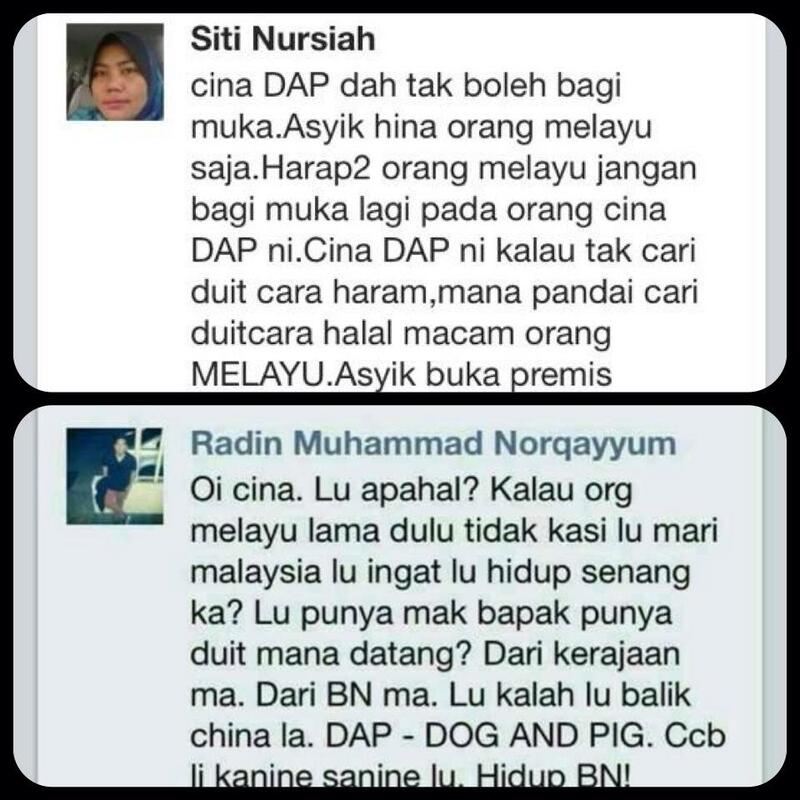 Malaysia is a multiracial country don't ever talk about racist now as a real Malaysian. We need to fight for the what's right! READ THIS....Couldn't agree much with this. Thumb up for this Guy. 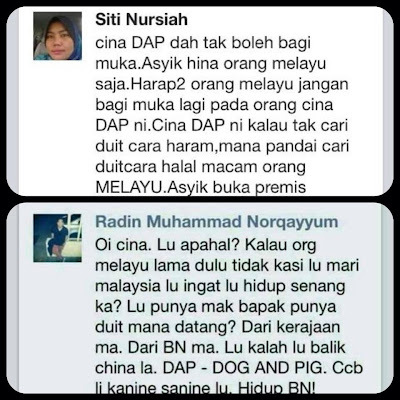 We are ALL Malaysian, why differentiate ourselves with races? Please be proud because we finally found a same goal together after so many years of hiding in the dark..Let's keep fighting!!! Let's stay united and fight for a better future! 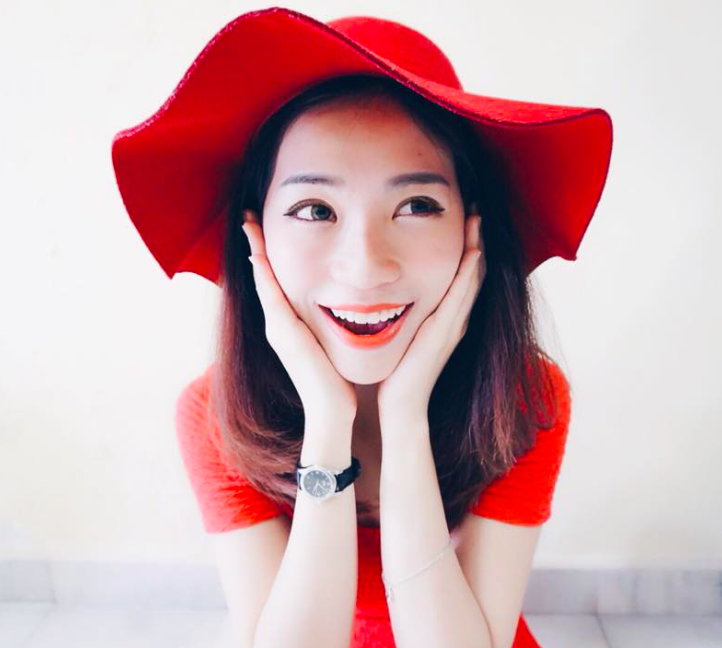 I am a chinese and I support Anwar Ibrahim and I think Nurul Izzah is hot. Am I being racist? Am I in trouble? Please help. In great frustration here. Agree with what you said. No racism! tolonglh.. jgn tuduh 1 kaum jer yg cakap isu perkauman ni. kerana nila setitik rosak susu sebelanga. 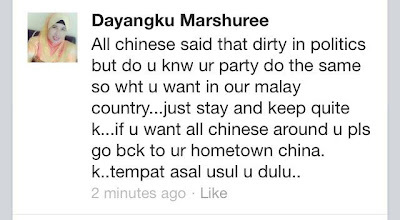 Not ALL MALAY RACIST OK.
Hi Azman, i'm not saying only Malay being racist. I'm said anti racism.. i mean everyone...not just "satu kaum"
Seriously, when we were in primary and secondary school, we studied and had so much fun without even looking at our skin colour. 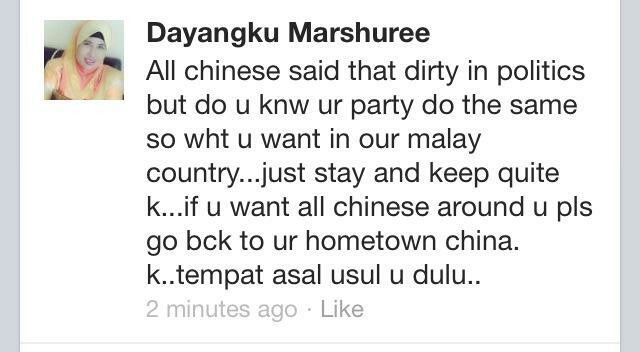 Why are there even people being racist in Malaysia. Really sad to see this kind of issue coming up especially after election. Yes, we should really stop this!! Good one! we want peace!! journal daily. I'd like to start a blog so I will be able to share my experience and thoughts online.